After more than a year of development and testing, the Fenris Lair Studio team is now seeking funding for their game: Untold Universe. 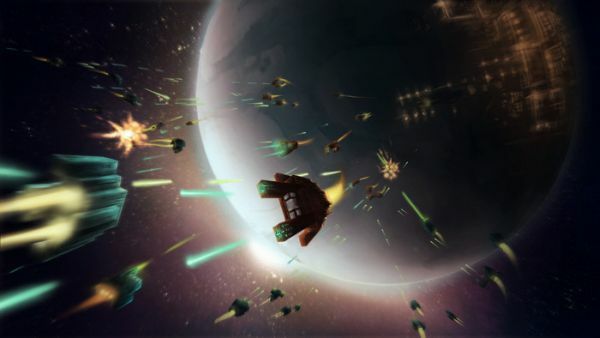 Blending together the concepts of building games like Minecraft and space MMORPGs like EVE Online, Untold Universe will offer to thousands of players to explore, build, share and fight in a huge and uncharted universe. For six months now, the game have been tested by players from all around the world, as part of a private Alpha program. A successful Kickstarter will allow the team to add the various features and assets needed to bring it to the next level: the private Beta phase. Backers will see their access to this phase secured, for any pledge of 25$ or more. Untold Universe is a space voxel-based MMORPG about thousands of players from all over the world exploring, colonising and shaping together a huge and uncharted universe. When connecting to the game for the first time, you will be a pioneer freshly arrived from the known universe. You will discover the Border, a part of the universe that does not obey the same rules as ours, and is still to be discovered and tamed. Equipped with only your ambition and the Valhalla Digital pioneer starter pack–the basic set of tools given to new pioneers by the company leading the colonization–you will have a chance to start back your life, and become one of the most reputed industrial, commander, pilot, pirate, or anything that could make you rich, powerful and respected by your peers! The game’s multiple small planets are made of cubes that you can remove to harvest resources. Resources that will be useful to craft goods and build new factories, spaceships or many other structures that will prove to be essential to colonize and protect new worlds. Those who prefer action to building will be able to buy spaceships and weapons directly from those who produce them, and work at defending assets and convoys or at actually attacking each other!